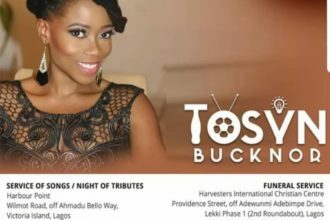 Popular OAP, Tosyn Bucknor starts the new month in style as she releases never-before-seen pictures from a promo shoot. The ‘Top of the Morning’ host with Top Radio never fails to keep her teeming fans entertained both on and off air. In the shoot, the versatile writer, singer and media personality popularly referred to as the ‘Voice of Lagos’ fused elements of her business side, fashion, style and music to create the colourful, playful and classic photos. The images were shot by Prince Meyson of Tripcity Visuals and styled by acclaimed stylist, Bydeimie with makeup by Preye Albert.